I’ve just reviewed the Nikon D3000, Nikon’s latest affordable, entry-level digital SLR. 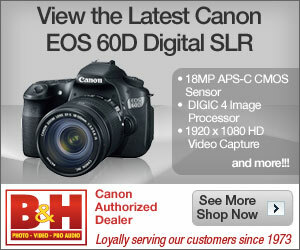 Visit Nikon D3000 photo gallery as well for full-sized photos taken using the camera. Hit the link for the full review. What happens when you pair up the capable Panasonic Lumix GF1 with the Olympus Micro Zuiko 17 mm f2.8 Pancake lens? Well, quite obviously you get this 6 test chart photo gallery which shows you the Panasonic GF1’s image quality from ISO 100 to ISO 3200 and also the image quality characteristics of the Micro Zuiko 17 mm f2.8 pancake lens. Here’s the Nikon D3000 digital SLR Photo Gallery containing full-sized pictures taken by the camera. Be sure to check out the Nikon D3000 review for more about the camera. I recently had the opportunity to attend Panasonic’s launch event for their new 2010 video camcorders and digital still cameras. In the latest of their ‘new generation system cameras’, the compact PEN E-PL1, Olympus is aiming for ease of use and portability while offering good image quality of a large image sensor. The Olympus E-PL1 was announced internationally last Wednesday and we have a preview of this latest camera which joins in the growing array of Micro Four Thirds cameras. Hit the link for all the juicy details about the camera. *Note from Brad: A big thank you to the folks at Olympus who made previewing of the PEN E-PL1 on DPInterface possible. Olympus introduces PEN E-PL1 camera; preview to come! Was the E-P2 PEN a bit too heavy on your wallet? Good news, Olympus just announced an affordable offering in their line of PEN interchangeable lens cameras. The PEN E-PL1 (what a mouthful) takes most of the E-P2’s features and puts them in a mostly plastic body, throws in a couple of new features like Live Guide to make the camera more beginner friendly and a built-in popup flash. Olympus made a second round of camera announcements for 2010 today, bringing out their new line of Ultra Zoom series cameras and rugged Stylus Tough cameras.